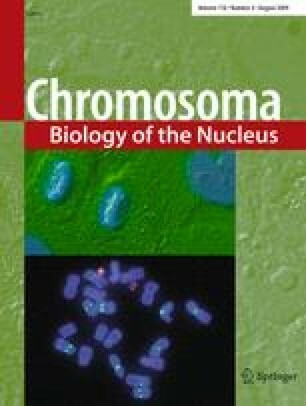 The organization of chromosomes into euchromatin and heterochromatin is amongst the most important and enigmatic aspects of genome evolution. Constitutive heterochromatin is a basic yet still poorly understood component of eukaryotic chromosomes, and its molecular characterization by means of standard genomic approaches is intrinsically difficult. Although recent evidence indicates that the presence of transcribed genes in constitutive heterochromatin is a conserved trait that accompanies the evolution of eukaryotic genomes, the term heterochromatin is still considered by many as synonymous of gene silencing. In this paper, we comprehensively review data that provide a clearer picture of transcribed sequences within constitutive heterochromatin, with a special emphasis on Drosophila and humans. We are grateful to Patrizia Lavia for critical reading of the manuscript and to Roger Hoskins and DHGP for sharing informations on heterochromatin sequence and gene annotation. We also wish to thank three anonymous referees for helpful comments and suggestions. The P. Dimitri laboratory was supported by grants from Istituto Pasteur-Fondazione Cenci Bolognetti and National Institute of Health. G.Biamonti was supported by grants from AIRC and Cariplo.